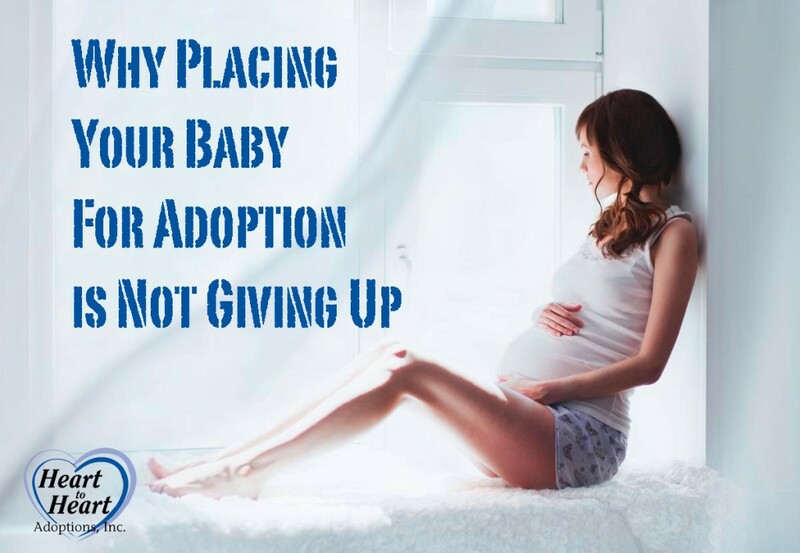 The biggest misconception that exists about the adoption process is that the birth parents are figuratively and physically “giving up” their child and “giving up” on their ability to raise one. The problem is that this is a battle that cannot be won, and birth parents are forever burdened by the guilt that such negative rhetoric carries. It’s time to put such falsities to rest. Contrary to harsh criticism, such as it is selfish to think about your own life instead of theirs, the opposite is in fact true. It is entirely selfless to understand that you may not be the best caregiver your child deserves or simply loving the very idea of the child you bear so much that you cannot comprehend a practicable life for them in a home that cannot provide them with the future they deserve. Wanting to do right by them is as selfless as a biological parent can get, because it’s important to remember that not everyone is qualified to be a fulltime parent. Instead of giving up on your child or your own self, you are providing both of you with the opportunity to grow with fewer obstacles. A high percentage of the population that considers adoption for their babies is the teenage demographic. These are teenagers little older than children themselves who either never wanted a child or just aren’t ready to have one yet. Bearing and raising will mean dropping out from school and being unable to receive a good higher education that will enable a more fulfilling childhood for the kids they have when they are good and ready. Hurting their own future along with risking their child’s would be more like giving up on both parties involved than signing up for adoption can ever hope to be. The true definition of “giving up” does not entail a successful and considerate future devoid of poverty for the child you obviously care very much about, even if only subconsciously. Opting for an open adoption makes the opposing argument for this debate crumble on its foundations. In a situation where you have lifelong access to your child and constant information and reassurance that they are safe and happy, means that you know you made the right choice by finding an option to defeat all possible demons in a battle where losing was an option, but giving up wasn’t. I like how you included that it is selfless to understand that you may not be the best caregiver your child deserves. It was nice that you mentioned that it is important to remember that not everyone is qualified to become a parent full time. My niece recently found out that she is pregnant. She is still in high school and has been trying to decide on what to do with her child. It could be a good option for her to consider giving her baby up for adoption.